Xi urged efforts to "comprehensively implement general requirements for Party building in the new era and continue to improve the efficacy of Party building." "Efforts should be made to build the Party into a vibrant Marxist governing party that is always at the forefront of the times, enjoys the wholehearted support of the people, has the courage to reform itself, and is able to withstand all tests," he said. 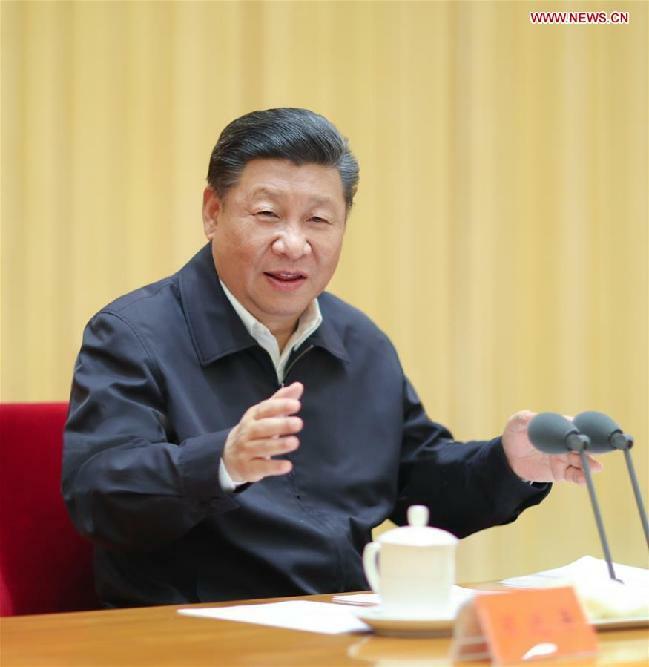 Xi said that the CPC Central Committee must have the authority of giving a final say while the fundamental task for local Party organizations is to ensure the implementation of CPC Central Committee decisions and arrangements. Underlining the improvement of the Party's grassroots-level organizations, Xi said efforts should be made to enhance the Party's organizations in enterprises, rural areas, governments, public institutions and urban communities. A priority of the Party's organizational work is to develop a good system to train, select, manage and assign officials, Xi said, noting that, when promoting and assigning an official, the criteria should be his or her integrity and merit, not background, and whether he or she is suitable for the position. The Party will enhance internal supervision and develop a system to oversee officials concerning their faith, performance, working style and integrity, he said. In this regard, Xi called for a contingent of vibrant, competent and professional young officials who are loyal to the Thought on Socialism with Chinese Characteristics for a New Era. Training and selection of outstanding young officials should target different fronts, areas and industries, and focus on cultivating versatile officials with professional background, Xi said. He called for the formulation of long-term plans to identify, train and promote outstanding young officials in a timely manner.